My fellow Congress Official Bloggers Pauleen Cass and Shauna Hicks and I are conducting a series of interviews with presenters at the forthcoming AFFHO Congress in Canberra. 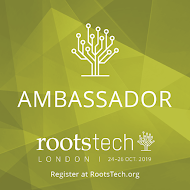 These posts should help you get to know the presenters, entice you to attend Congress or if you are unable to join us, give you a flavour of happenings at the event.You can find links to some of the published interviews here. 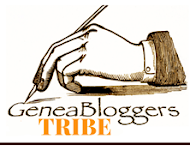 JB: Are you a genealogist, researcher, historian or representing your organisation? DH: I am a Genealogist, albeit an amateur one. JB: I wonder if you could tell us a little about your background? 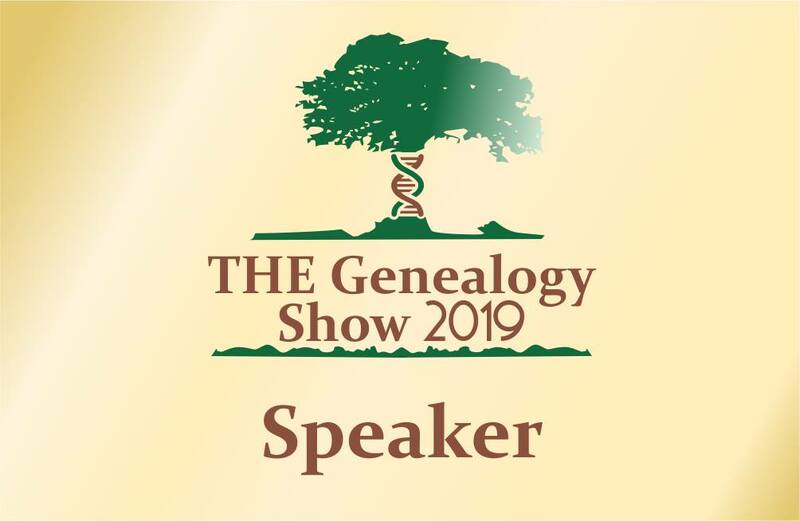 DH I have been researching my personal family tree since 1985 and during that time have met thousands of like-minded people all keen to find out about their ancestry. I have been involved with Cornwall Family History Society for many years and I am a former Committee Member and Chairman. For the past 8 years I have been a Committee Member of The Federation of Family History Societies, which is the national body that represents family history societies in England & Wales. For the past 7 years I have been its Chairman and will be standing down at the end of March 2015 as my tenure will be complete. JB: How has genealogy improved or changed your life? DH: For the past decade the changes have been due to my involvement in family history organisations more than my own personal research. I have thoroughly enjoyed working with so many knowledgeable and friendly people in this fascinating hobby of ours and would not have changed it for the world. JB :What do you love most about genealogy? DH: The mystery of what may just be around the corner and then the joy of finding out what the mystery was. JB: Have you previously attended Congress? DH: Yes, I was at the 2012 Congress as a presenter. JB: What are your key topics for Congress? DH: I am running a workshop about Breaking Down Your Brickwalls at lunchtime on Fridayn Friday. Using British medals to help fill out your family tree on Friday afternnon. Did your ancestor serve in the British Military during World War One on Saturday morning. I am giving a talk about UK sources, called Source for Mr GOOSE and Mrs GANDER, that will help you in researching the UK part of your tree on Sunday afternoon. I am delivering the Keynote Talk on Monday morning called Fascinating Facts & Figures from Five Centuries. This talk is both informative and interesting. It will definitely raise a laugh from the audience but also provoke a few thoughts about your research. JB: How do you think your topics will help the family historians at Congress 2015? DH: I know that many family historians have had the chance to visit the UK and I hope that I will be able to help them and others who have yet to visit know what they can find when they visit. Additionally a lot of information is now to be found on-line and my topics mention how to find what you are looking for on the internet. JB: What do you think are the benefits of attending a large conference like this for you personally and for others attending? DH: Every conference I have attended around the world is an opportunity to exchange ideas, perhaps meet your extended family and for me be able to pass on some of the knowledge that I have gained over the years to other family historians.. 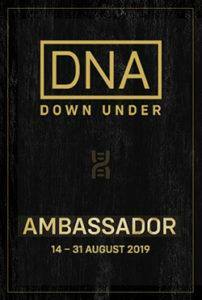 Personally I have family who migrated to Australia in the 19th Century and I hope to be able to make some time to visit their graves and perhaps meet up with some distant cousins. JB: Do you have a favourite piece of advice or a tip or trick you can share with conference attendees? DH: Always check the original record – this is much easier now that images are being made available on-line. JB: Would you please supply an image to enhance your interview. DH: Two of my talks are about military subjects and I am still serving in the British Army Reserve, I try to enhance my knowledge by visiting battlefields and have led a number of groups on Battlefield Tours. 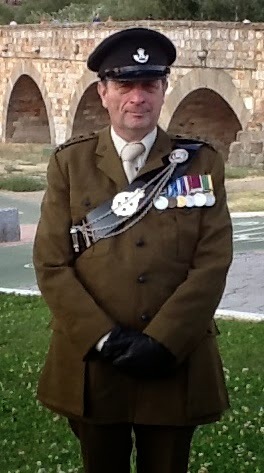 The attached picture is one of me taken at the Roman Bridge in Salamanca, Spain when I led a group to commemorate the 200th Anniversary of the battle there, which took place on the 22nd July 1812. I am off to take a group to the 200th Anniversary of the Battle of Waterloo in June 2015 and taking another group to The Somme and Flanders in October 2015.